Included on the CD are tracks legally deleted from our culture: samplephilia classics and a few surprises. 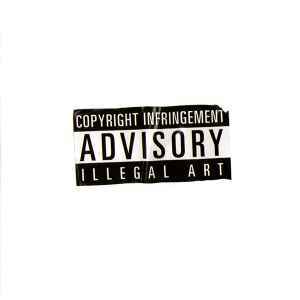 Some tracks were used without permission and thus the disc was given away at the Stay Free magazine's Illegal Art Exhibit. A few spare copies were also available for mail order (see label web site). Thanks also to Alexandra Ringe. Insert: 3-panel trifold, color print exterior, black print interior.